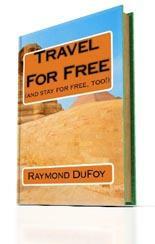 Raymond DuFoy (a pen name), world renowned travel writer and photographer, shows you how to immediately get legitimate access to the secret twice monthly PDF bulletin which lists the latest hotels, reports, airlines, even whole countries, all of whom want to pay for everything to get you to visit them! He also supplies the full details of where to place your pictures or story – so you often get famous, too! This exciting 321 page PDF ebook comes with Private Label Rights.